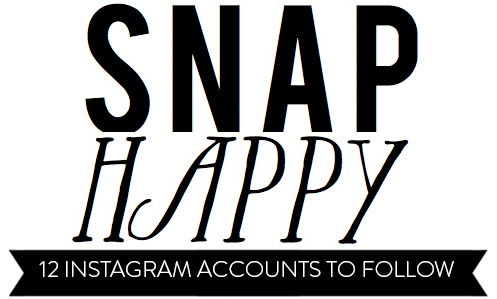 Last May, I shared some of my favorite Instagram accounts in this post. @NANNERBURNS // Anna's images are so beautiful, I find myself wanting to leap inside them. Naturally, her blog, Dear Friend, is equally delightful. This teacher and self-described adventurer and optimist is incredibly talented! 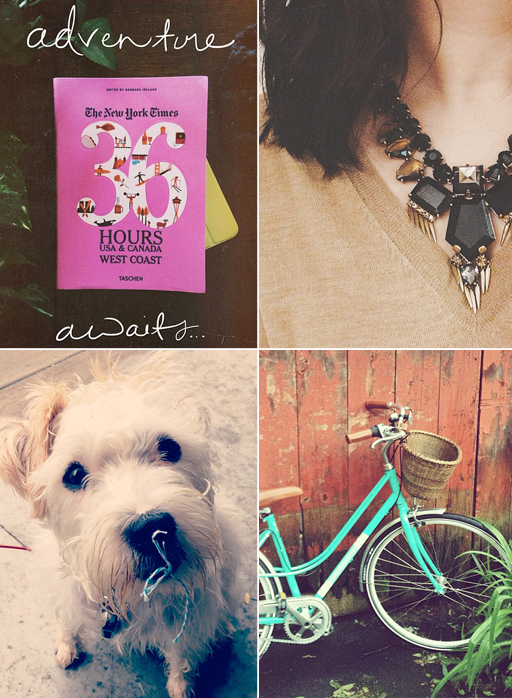 @SHANNYDOOTS // A J.Crew junkie who sports some serious bling—two traits that make Shannon instantly endearing! 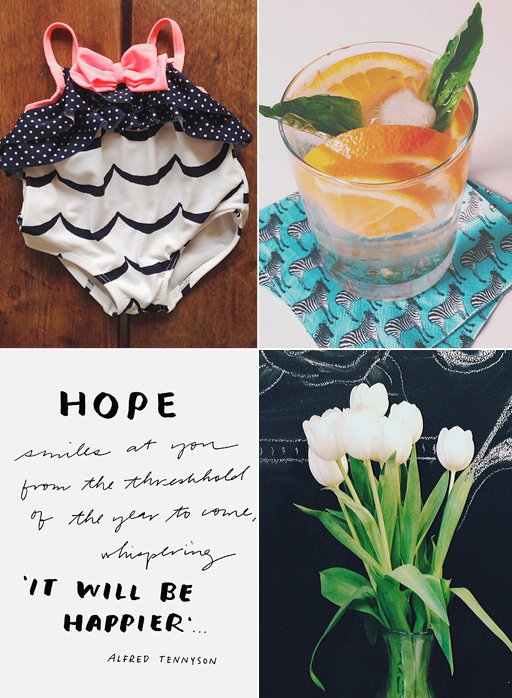 @THYME_IS_HONEY // Dani is the shop owner and blogger behind Thyme is Honey. I was sure we could best besties when I read she's also a compulsive organizer. The fact that she's a contributing writer for Beauty Bets only sweetens the deal—you know I love me some product reviews. Oh, and I'm smitten with her bow-tie wearing pup, Walter! 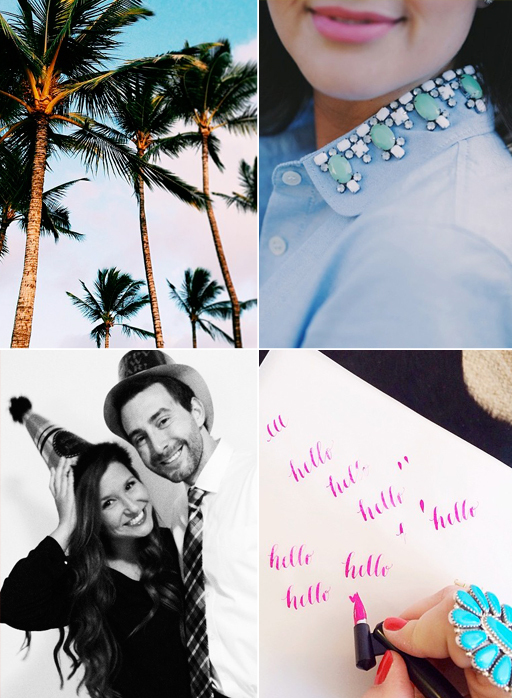 @MOSIE514 // A military spouse who spends her day dreaming she's Kate Middleton. In reality, Moe's a PA student (soon-to-graduate!!) who lives 400 miles away from her Marine husband. Learn more about her adventures here. @CAITSCHLABACH // I only wish that I would have been introduced to Caitlin BEFORE we moved from Hawaii. Gah! Her pictures are just SO stunning, and they make me miss the HI life now, more than ever. @_KAYLEE DAILY // I met Kaylee via blogging, and I'm certain this girl eats nothing but sunshine and doughnuts for breakfast. She's oozing with joy and sweetness! Can't get enough? Hop on over to her blog. I'm obsessed! @LPODLICH // Laura of Beauty and the Beard is seriously the cutest. Sometimes I dream about the day I finally get to meet her. We'd share baubles and sip on Adult Shirley Temples. It's going to be epic! @LAURENESSL // I attribute my urge to learn calligraphy to Lauren. She just makes it look SO cool! I'd give anything to attend one of her classes. For now, I'll live vicariously through her colorful images and website. @EMFLEM // I was so excited to stumble upon Emily's blog and Instagram this past year. Her words are honest and her smile is contagious. You will adore her! @SYCAMORESTREETPRESS // Each day, I look forward to #evaseverydayoflettering. Sometimes I think the quotes shared are intended for me specifically. They're always inspiring or witty. Check out Eva's online shop here. @PARKERETC // Half Iowan and half Texan, Amy is a lifestyle blogger who settled in Brooklyn with her husband and daughter, Parker Mae. Her blog is one of my all-time faves! Do you have a favorite Instagram account that I should know about? !